As early as I was in school, I knew that hospitality was my profession, so I began to work as a waiter during my studies. Then I learned the ins and outs of the profession at party service companies, in managerial positions after a while. In 2011, my heart took me abroad: I worked for six years in London as the head waiter of the renowned Ritz in London. I came home in 2017, and soon I was asked to strengthen the management of the Hauer Café and Confectionery. It is a great honour, both professionally and emotionally, to be part of such an endeavour, so there was no question that I accepted the challenge. We are all working to make the Hauer worthy of its old reputation – so that our visitors leave with pleasant experiences and become regular customers. 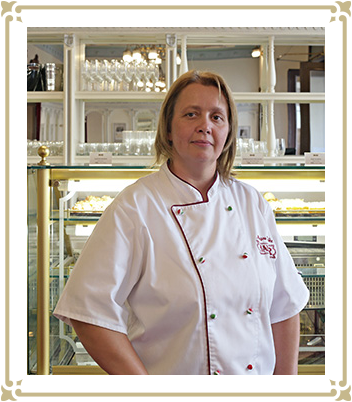 As one of the master confectioners, I’m responsible for the freshness and quality of our delicious cakes and pastries. I have always wanted to be a confectioner since I was a small child. 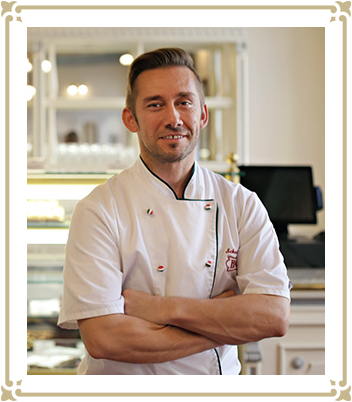 I graduated in 1996, then I worked in the renowned Pataki confectionery until 2013, learning the craft from great masters. 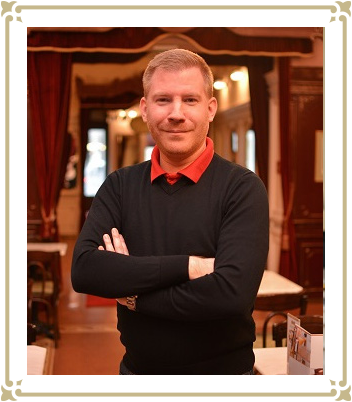 Between 2013 and 2017 I worked at the famous Művész café on Andrássy út. I think continuous learning and development are very important; this is why I completed several training courses and graduated as a master confectioner in 2015. My goal is to show the beauty of the craft to as many students as possible and to teach them the best of what I know. I’m proud to be part of the Hauer team! I graduated as a master confectioner in 2000. I always liked challenges, so I went to work for Princess Cruises on luxury liners as a confectioner between 2002 and 2010. After that, I was the head confectioner of the Művész café, then the Zsidai and the BocaDolce confectioneries. I want to use all my professional experience and knowledge to give our guests a memorable experience.